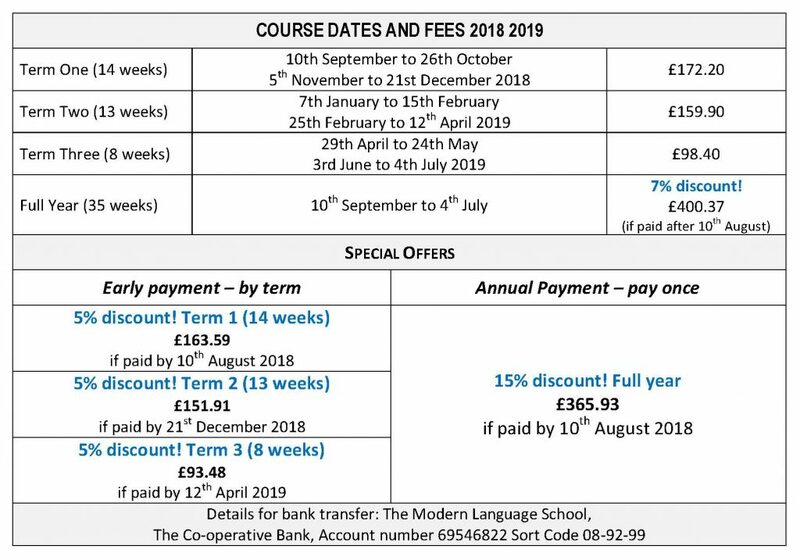 If you are over 16, live in West Yorkshire and wish to learn a language, you will like what we can offer at the Modern Language School. The school is based in Honley, near Huddersfield, and is easily reached by car or by public transport. You can choose between French, Spanish, Italian, German or Portuguese. 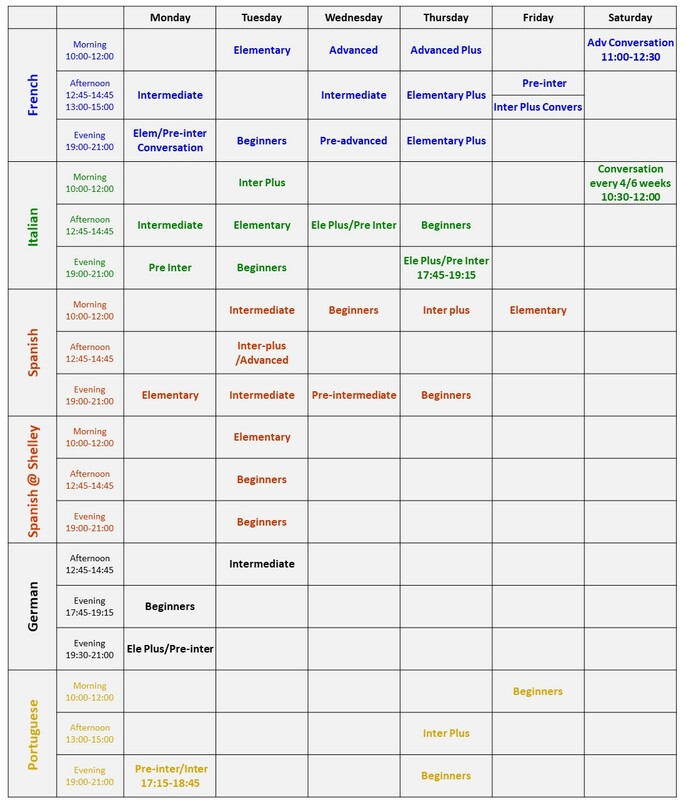 And there is an array of different courses, depending on how much or how little you already know. If there is too much for you to choose from, just call us on 01484 950404; we will be able to help. Qualified and experience teachers deliver our courses. Yet the fees are extremely reasonable with an hourly rate starting at £5.23 only. Our academic year lasts 35 weeks and enorlment is either per term or per year. Just have a look at our table of dates and fees. Yes, the discounted yearly fee is amazing value for money. Classes take place in our completely refurbished premises in Honley and are accessible. You will not be training for exams, instead you will be practising how to understand and speak a foreign language. To enrol, all you need to do is complete a short and simple form on line (click here) and send your bank transfer or cheque as indicated on the form. You will receive an email receipt and we will be expecting you at unit 7, week commencing the 10th of September.